Healy et al., 2008). The measured chemical elements of interest include sulfate, selenium, arsenic, manganese, barium, and total dissolved solids (TDS). Geochemical processes involving these constituents can also affect infiltration rates of water into soil over time. Healy et al. (2008) have indicated that high TDS and nitrate and chloride concentrations exist under some CBM water impoundments in the Powder River Basin. The researchers concluded that large amounts of chloride (12,300 kg) and nitrate (13,500 kg) were being leached from soil materials below impoundments into perched groundwater resulting from water infiltrating from the impoundments. Several additional studies in the Powder River Basin of different impoundments (including both on- and off-channel impoundments) and associated groundwater effects are described below to illustrate the various scales at which groundwater data related to impoundments may be analyzed and the effects of the results on management and monitoring requirements. A preliminary study in 2005 by the Water Quality Division of the Wyoming DEQon the potential effects on groundwater of CBM impoundments indicated high concentrations of TDS, selenium, and sulfate in groundwater beneath four on-channel impoundment facilities (Fischer, 2005a,b). These concentrations had increased as a result of the infiltration of CBM produced water below the impoundment and subsequent dissolution of minerals and other compounds in the underlying soils. The impact on groundwater quality beneath the impoundments caused the Class of Use of the groundwater to be changed from Class III2 (livestock use; 3,000 mg/L TDS) to Class IV (industrial use) because of TDS, selenium, and sulfate in excess of Class III standards (Fischer, 2005a,b). As a consequence of these results, the Wyoming DEQ implemented new compliance monitoring guidelines for new CBM impoundments in the state. Continued studies were recommended to determine the effects on groundwater over the entire basin. As mentioned previously, the new guidelines which were developed on the basis of the 2005 study have been updated again and were issued by Wyoming DEQin April 2010 (see Chapter 3). 2Class III groundwater in Wyoming is water that is suitable for livestock. The majority of CBM produced water in the Powder River Basin of Wyoming is designated as Class III. Infiltration impoundments in Wyoming are not allowed to be sited over Class I or Class II groundwater. 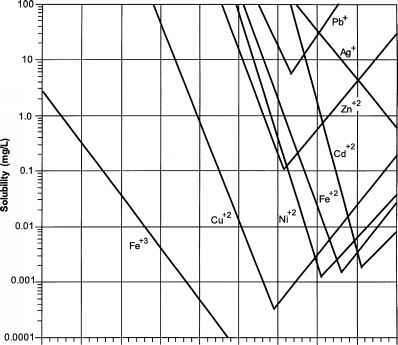 (Fischer, 2009a,b; see also ALL Consulting, 2008)3,4 which were drilled to investigate the presence or absence of groundwater. Approximately half of the sites lack groundwater resources to the required depth of investigation, which is either 150 feet or 200 feet below ground surface depending on the size of the impoundment. Those sites that encountered groundwater were sampled and the reports were submitted to DEQ(approximately 900 reports). The Wyoming DEQhas issued permits and associated compliance monitoring programs for approximately 296 impoundments. Many of the impoundments have either never been constructed, have not received discharge, or will not be used. The Wyoming DEQhas issued groundwater monitoring exemptions for approximately 1,485 impoundments because either groundwater was not encountered during the drilling program, or groundwater was Class IV (industrial) quality. Relative to the 296 impoundments for which permits and associated compliance monitoring programs have been issued, permit-holders for 144 impoundments with 170 associated monitoring wells submitted monitoring reports as of May 2010. The monitoring wells are part of the state's impoundment performance compliance monitoring process and are currently sampled on a scheduled basis (e.g., quarterly, semi-annually, or annually) as required in the monitoring well permit to construct. The impoundments overlie Class III (livestock) quality groundwater and the monitoring reports documented exceedance of groundwater standards beneath 17 impoundments since 2004. The primary constituents identified in groundwater were TDS, sulfate, and/or selenium, largely related to dissolution of soil-associated selenium and pre-existing gypsum (calcium sulfate) salts above the water table. In addition, some impoundments exceeded surface water standards for iron and barium. The state also found about 50 leaking reservoirs that required corrective action (e.g., pump-back systems or cessation of discharge). 3The study by ALL Consulting was supported by the National Energy Technology Laboratory and was performed in cooperation with the Wyoming DEQ the Montana Board of Oil and Gas Conservation (MBOGC), the U.S. Geological Survey, and the U.S. Department of Energy. MBOGC provided some funding for the groundwater analysis portion of the study.